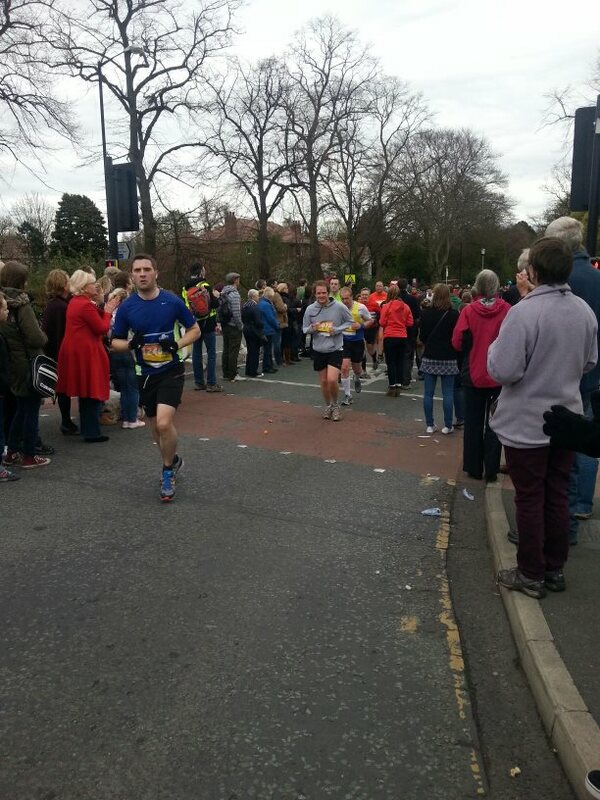 As an out and out northerner, I run out and out northerner marathons. 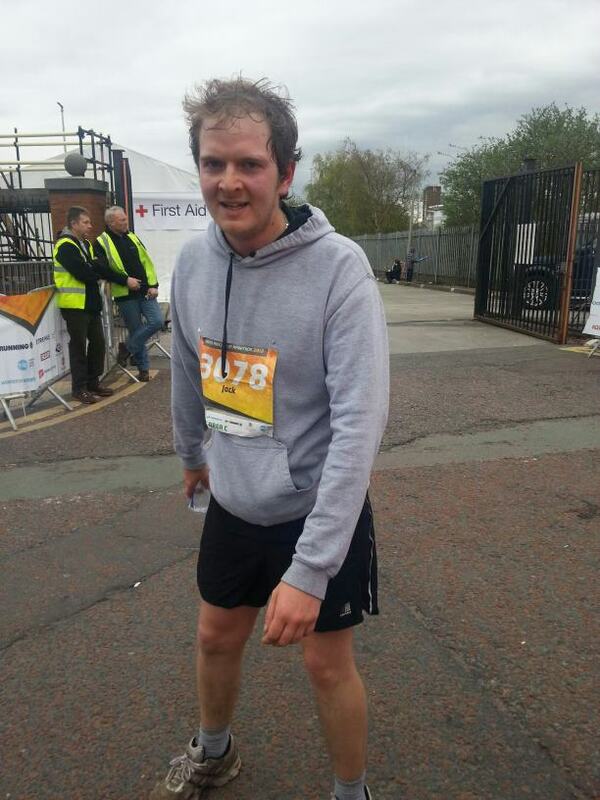 This is why last summer I decided to run the Manchester Marathon. 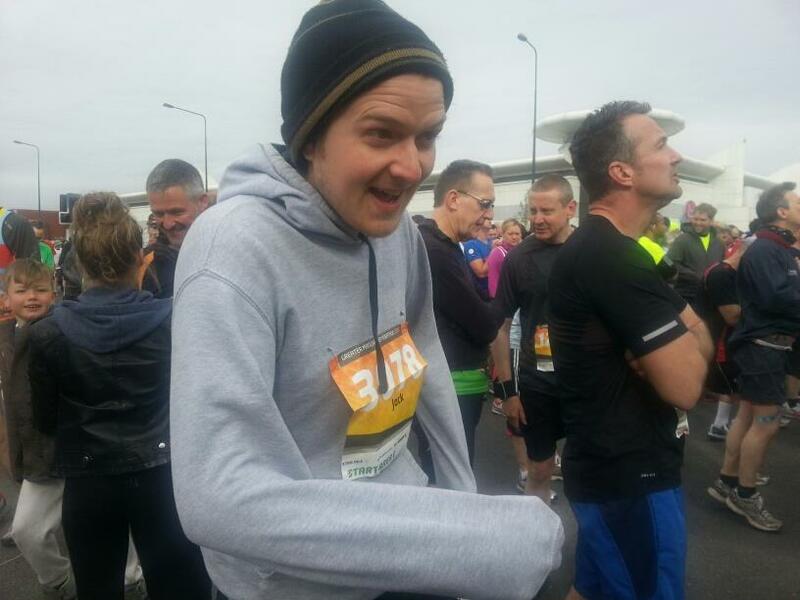 I decided to try and raise a little bit of money for Julia’s House Hospice, a charity that does fantastic work and is in desperate need of support. I humbly urge everyone who reads this page please to donate even 50p to this cause. It all adds up and it would mean a huge amount to the charity. 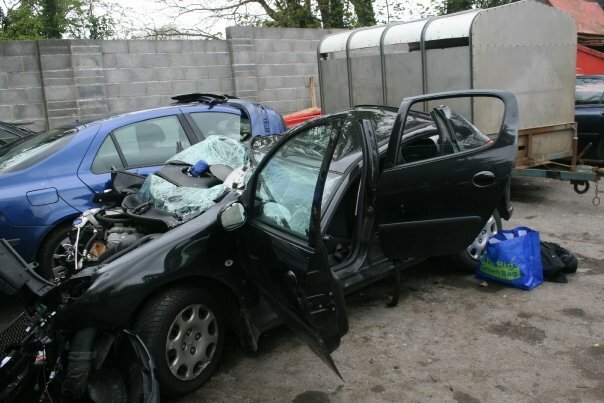 About 4 years ago I broke my back in two places and my pelvis in two places in a car crash. 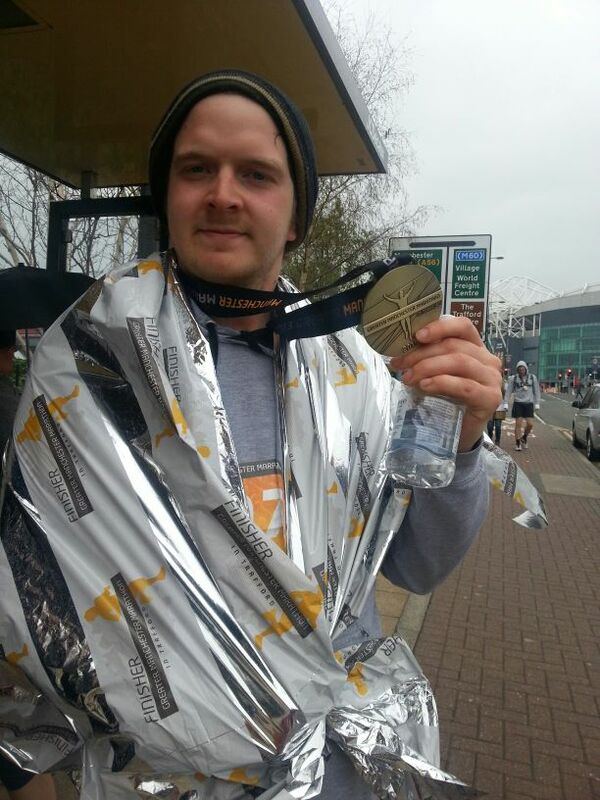 It is fair to say I have come a long way to run a marathon which I completed at the weekend and it was one of the hardest things I have ever done. Last weekend the sun was finally starting to shine in the North West of England. However, a bitter north easterly was still whipping across Cheshire, bringing freezing cold winds from the Arctic. Any fisherman worth his salt will know that these bitter winds are not conducive to fishing. 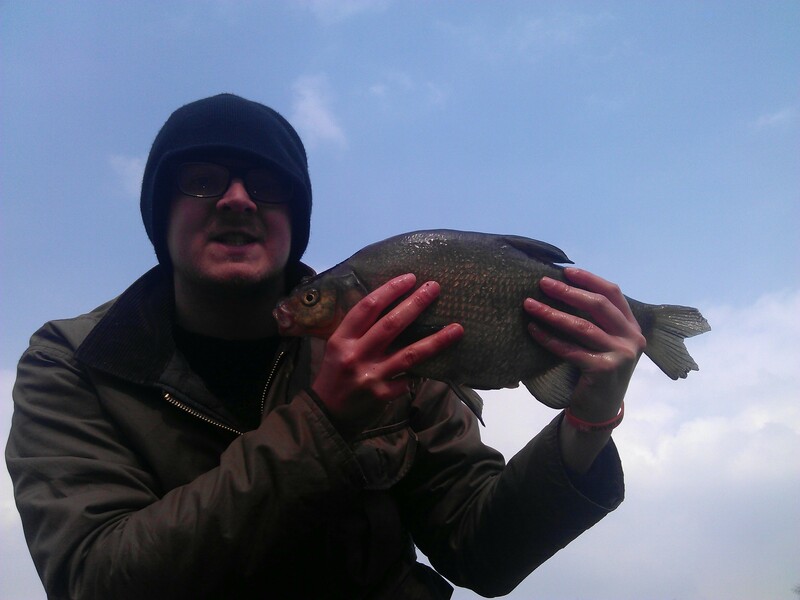 However, I know a place jammed full of bream, tench and crucian’s, Cicely Mill. Even the most incompetent angler like myself should stand a chance of catching them. 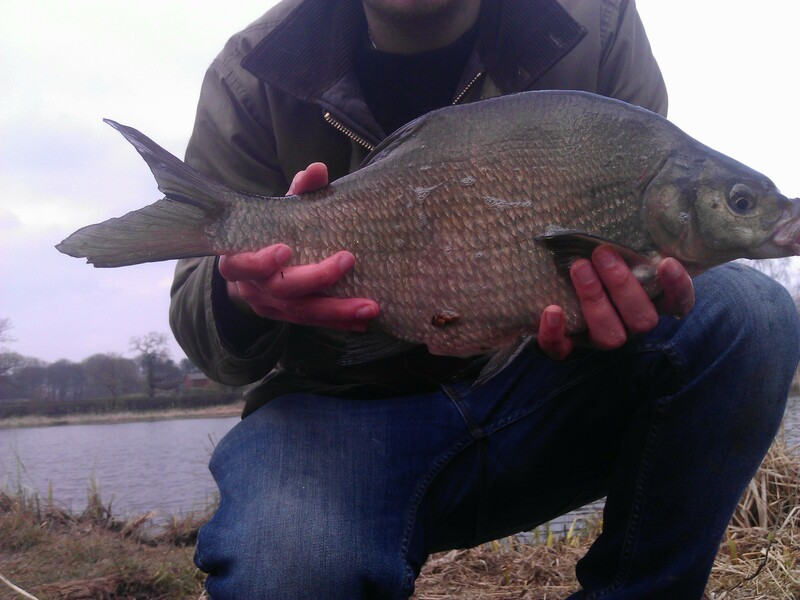 I believe it was Matt Hayes who said that the joy of catching bream doesn’t stem from the thrill of the fight but the precision involved catching them. Or words to that effect. 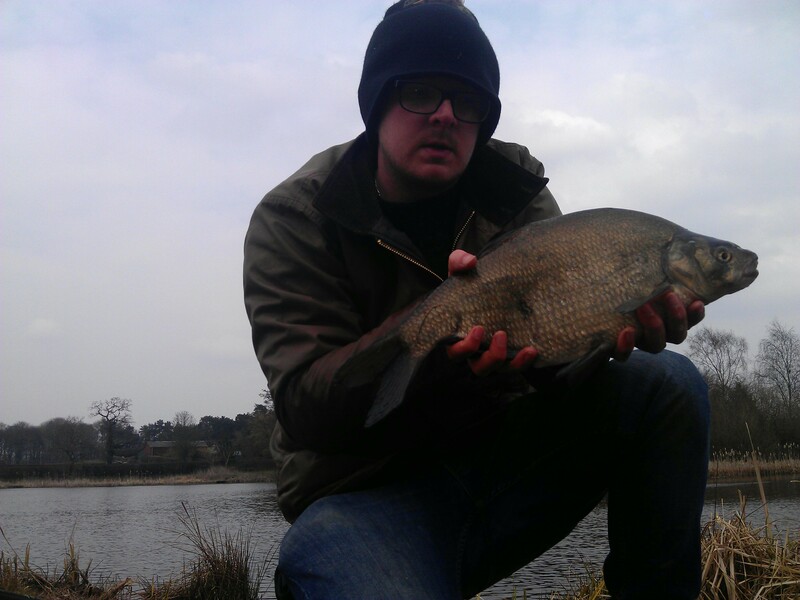 He’s right too, catching a bream is akin to hooking a French man. That is they give an initial burst of resistance followed immediately by complete and utter surrender. They are also very slimy. Because of this I would be fishing on light tackle – their uninspired fighting abilities I mean, not the fact they are similar to our cheese munching neighbours from across the channel. I fished the feeder using my trusty old Shakespeare lightweight fishing rod and a cheapo Drennan match reel that set me back the princely sum of 10 pounds. This reel was loaded up with 4.5 pound line and fished in conjunction with a small in-line guru method feeder. In the colder months I tend to use a groundbait style method mix but as the weather is finally getting better I decided to use an age old groundbait mix. 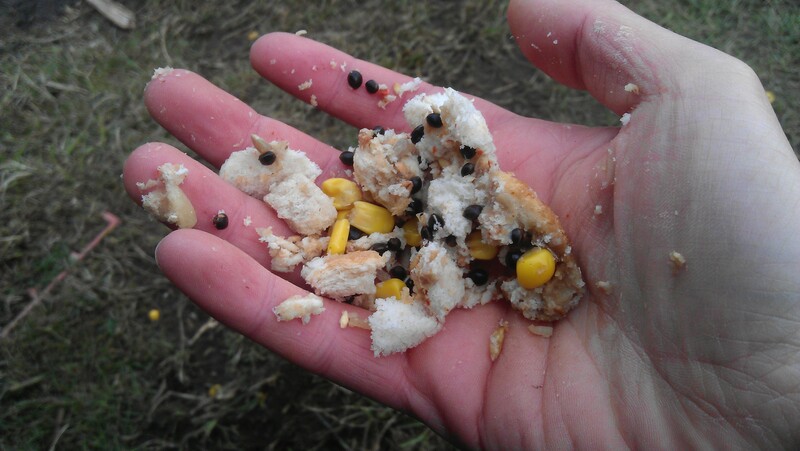 This consisted of bread, hemp seeds and sweetcorn. I used the juice from the corn and some brown sugar for some extra zing. Traditionally, I would use abit of corn as the hook bait when fishing the feeder but I went and got all modern on y’all asses and used a piece of fake plastic corn on a hair rig. 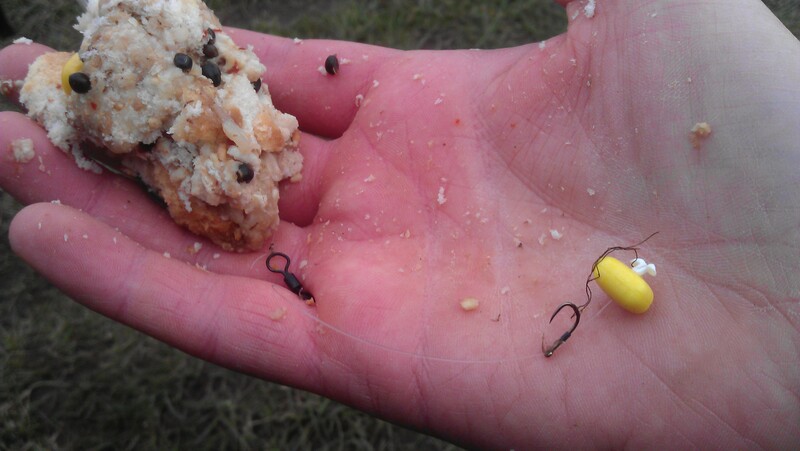 There are two stages to successful feeder fishing. The first is to pick a good spot that is likely to hold fish. The second is to consistently hit that chosen spot with regular and accurate recasts to build up the swim. In this case it took around 2 hours of recasting every 20 mins before I started to get bites. But once they started they were a bite a chuck. 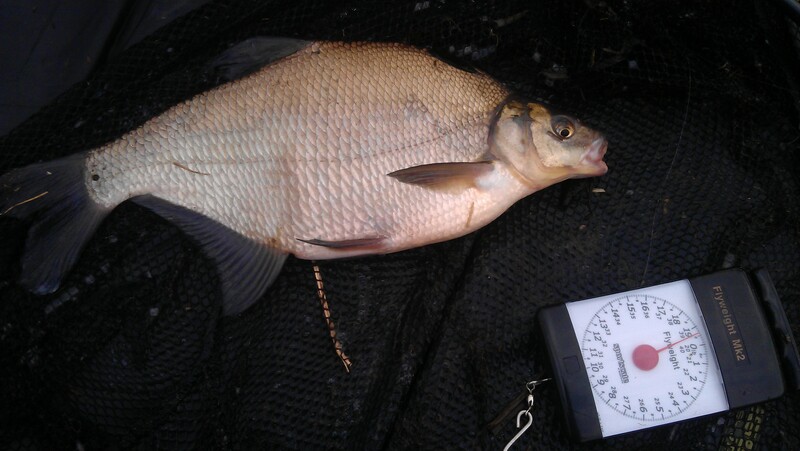 I went on to catch 5 bream average around 2-3 lbs with the biggest at 5 lb 2oz. Finally what you have all been waiting for – some pictures of me holding fish and also some pictures of fish laying on the ground. 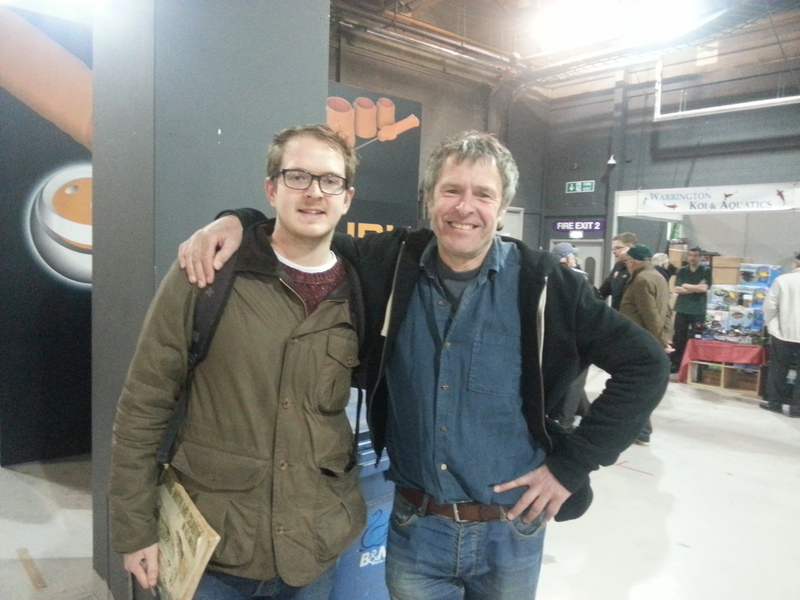 They say you should never meet your hero’s, being the absolute rebel that I am, I flouted this rule completely and headed over to the Northern Angling Show knowing full well that John Bailey a.k.a Mr Crabtree would be present. So with my Mr Crabtree book sitting alongside my packed lunch in my backpack, I set off. It was nice to meet a few like minded people at the Show and see some of the latest innovations. In fishing these innovations are limited, lets be honest there’s only so much you can “jazz up” the bait on a hook on a line on the end of a stick approach. 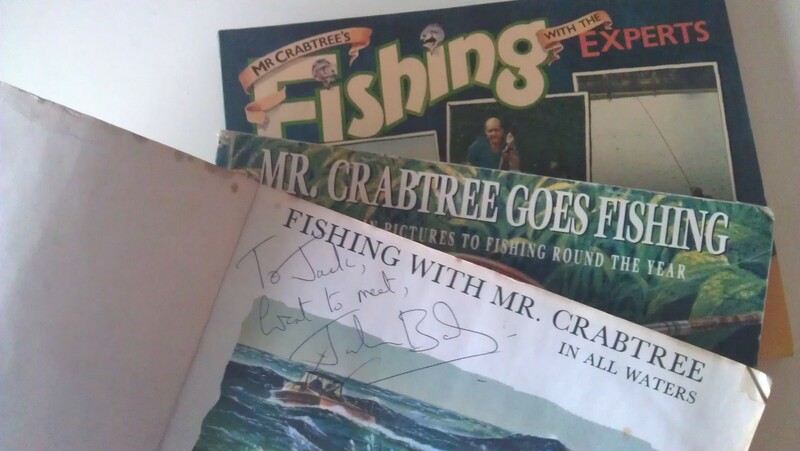 Then it happened I had spotted Mr Crabtree himself. After body checking a few children out of the way, I managed to sneak a few words in with him. There’s the ABSOLUTE superstars like SuBo, JedWard, Ant and Dec. I mean you would have to be stupid to not speak to stars of their calibre. Ellie Goulding who I would (regrettably) have to kidnap and pickle to keep as a friend in a jar forever. The dark days of winter’s fishing are coming to an end. Hitting the bank now is not the painfully cold affair of but a month ago. As returning readers will probably know I have been fishing a lot of the Manchester canal network recently in search of our waters apex predator, the much maligned pike. These readers will also know that the most populous species residing in the canal is not pike but in fact the humble blood bag (seen here). To date, I have had more than my fair share of these gross bags on the bank. Call me crazy, but I rather fancied catching a fish instead of the usual canal debris. To fulfil this radical new urge I had brewing inside me. I decided that a change of scenery was in order. The Bridgewater canal was still my destination same canal but this time I would be heading into the dark back waters of Cheshire. For a fully fledged city slicker like myself alarm bells where ringing in my head, I could hear the banjo’s duelling already. 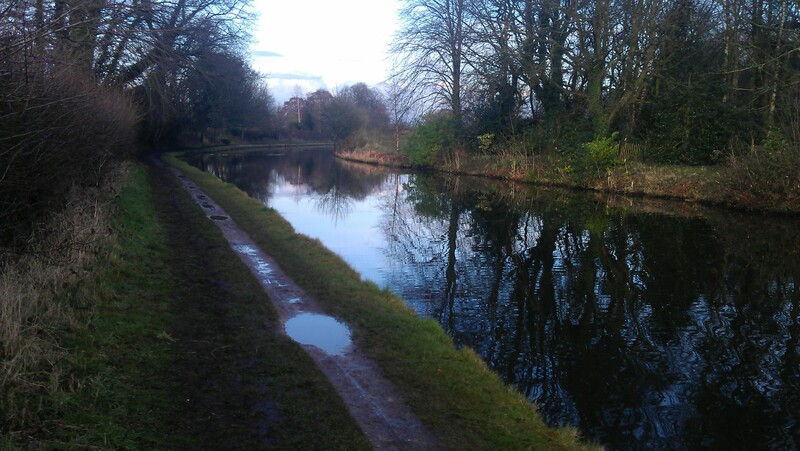 I have to say – hill billies aside – the stretch of canal was beautiful. 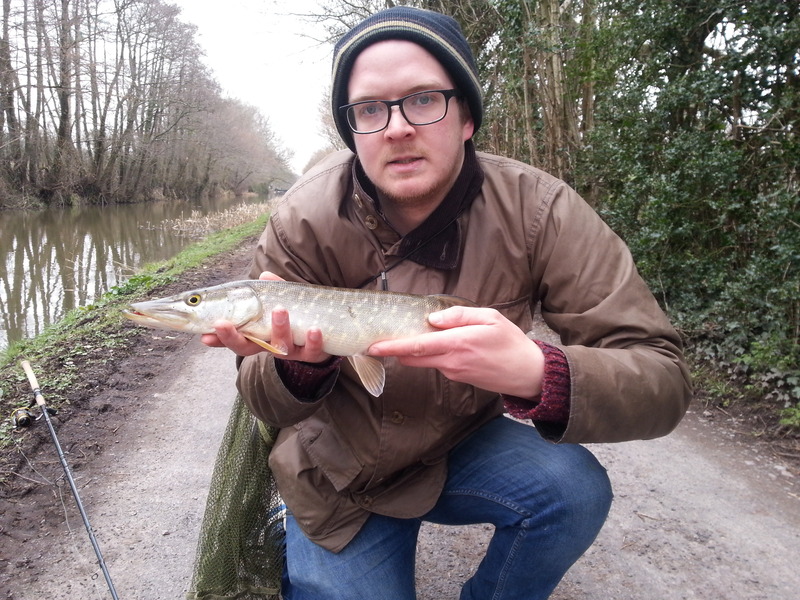 It was not typical of the canal that I have become accustomed to fishing recently. I don’t often fish dead baits under floats mainly because its a pain in the arse on running water. On the canals virtually still water though, even the simplest of fisherman can fish a bait effectively (simple fisherman is a category that I slot into by the way). 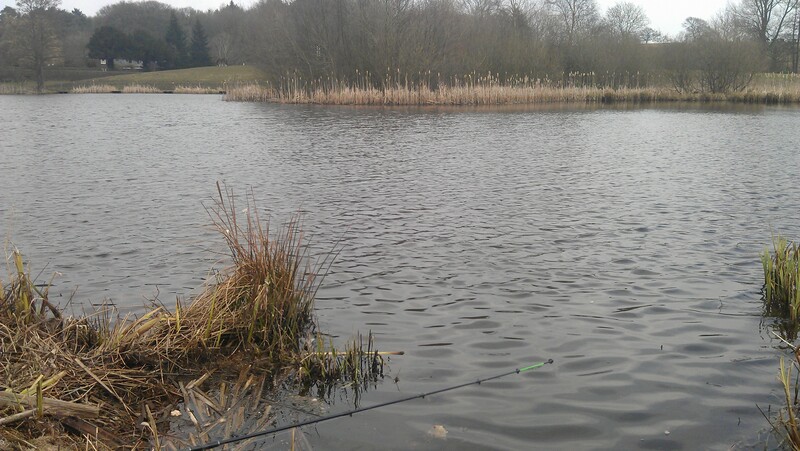 We both set the depth for our baits at around 3 foot and fished them on a ledge at about 15 foot range on the opposite bank. It was thoroughly enjoyable to loaf out a couple of suspended sardines, then sit back and watch the floats with my mate Ben who had accompanied me on this trip. It was great to have some company even though in my eyes he was half a man as he had never caught a pike before. Hopefully that would change by the end of the day and I would be able to stop looking down on him in pity. Would you believe it? 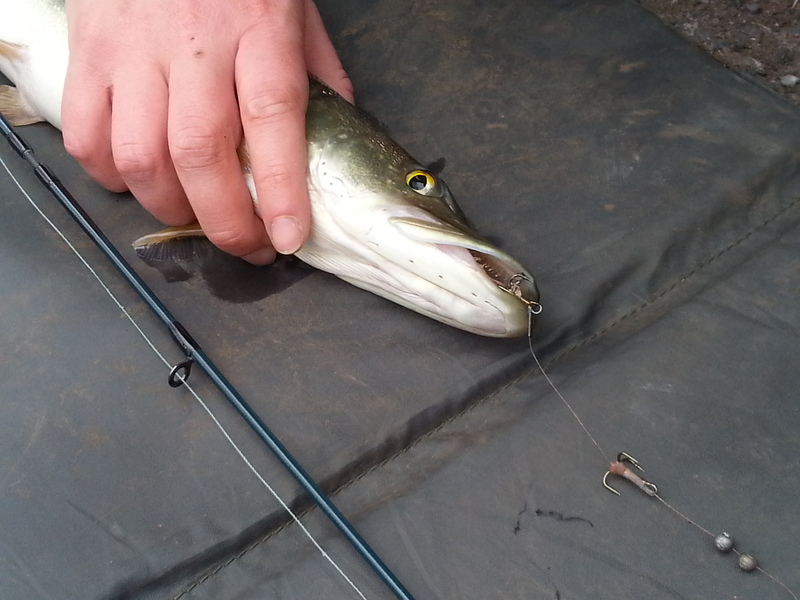 the little blighter caught his first pike. A small fish of around 4ish pounds I would guess, a beauty despite a few red marks that were probably inflicted during the recent spawn. 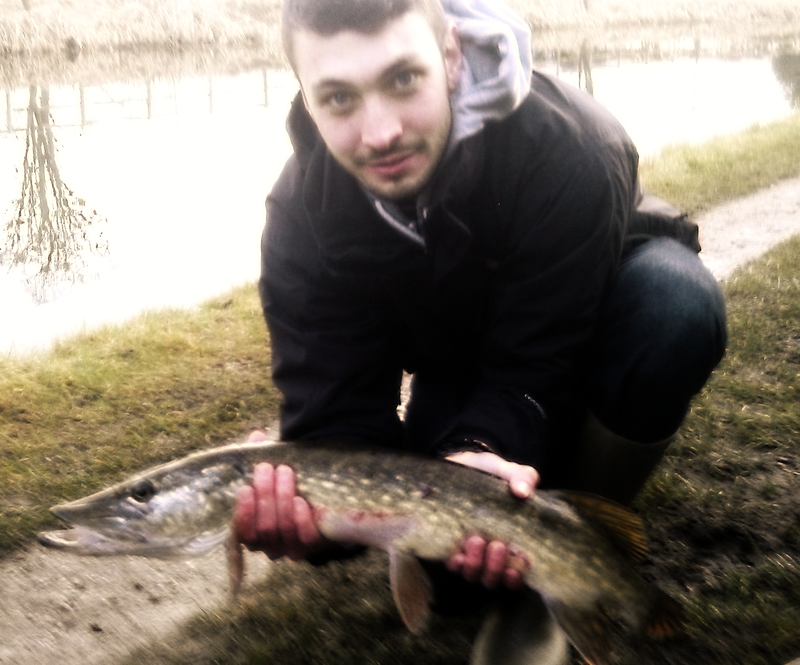 Finally a canal pike and finally my mate Ben has become a man himself stinky fingers and all.